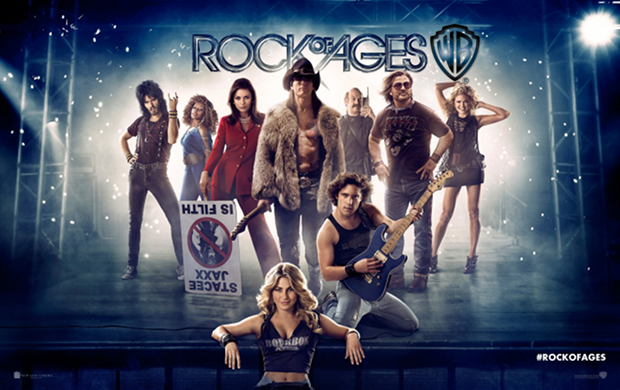 Warner Brothers “Rock of Ages” was about to rock movie theatres nationwide and the studio was looking for a promotional idea as big as the era’s trademark hair. To launch “Rock of Ages” in true rock star fashion, Katz Marketing Solutions worked with radio stations in Los Angeles legendary rock station KLOS/95.5 (also featured in the movie) and New York’s WAXQ/Q104 to host a one-of-a-kind “Rock of Ages” weekend takeover. KLOS and WAXQ dedicated the majority of their weekend advertising to a creative series of “Rock of Ages” themed on-air spots and promotions. Beginning on the Wednesday prior to the weekend movie release, KLOS and WAXQ played a series of “Rock of Ages” trivia bookend blocks. Then, every hour from 3pm on Friday until 7pm on Sunday, KLOS & WAXQ aired extended length (i.e., :90 & :120) spot featurettes, as well as top and bottom of the hour IDs. Rounding out the program, participating stations also provided digital support, including streaming spots, pre-roll video ads, station homepage takeovers, and rich media overlays. The aggressive five day takeover used just four radio stations to deliver nearly 21,030,396 ad impressions (A18-49).